Start with the base model and carefully consider your needs. It's not hard to crest $50,000 and it can happen in a hurry. The 2.0T comes with standard infotainment, panoramic sunroof, and leather—do you need much more? The 2017 Audi Q5 soldiers on with good space and carlike handling; it's still one of the better luxury SUVs, despite its age. The 2017 Audi Q5 is a five-seater compact crossover SUV that competes against much newer offerings such as the BMW X3, Mercedes-Benz GLC-Class, and now, the Jaguar F-Pace. It's available in a wide range of models and and powertrains, which are available in Premium, Premium Plus, and Prestige trim levels. Despite being the oldest among those four—the Audi can trace its roots back to 2008—the Q5 has managed to stay relevant thanks to simple styling on the outside and quality materials on the inside. It's instantly recognizable as an Audi, but its interior betrays its age with its dated switchgear and the lack of some key features. 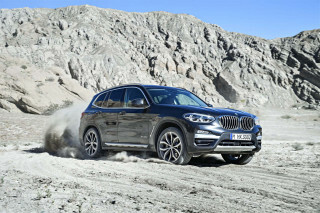 This year the automaker shed the slow-selling hybrid version, in part, because a brand-new Q5 is expected sometime next year. For 2017, three powertrains (an inline-4 and two versions of a supercharged V-6) are all married to an 8-speed automatic and all-wheel drive, which Audi calls quattro. Some rivals offer a two-wheel drive model, but not the Q5. Last year, Audi pulled from sale its diesel-powered Q5 after the automaker admitted it cheated emissions tests. It's unclear when (or if) the automaker will bring back that version, but we wouldn't hold our breath. For this year, Audi is making available on more models its adaptive suspension and customizable drive settings, bigger wheels, and adding a sport appearance package to the top-of-the-line performance model. We're impressed with nearly every Q5 in the range, but would caution buyers that paying more doesn't necessarily get more—even the base 2.0T model gets a panoramic sunroof, leather interior, and a competent 8-speed automatic that shifts power through all four wheels. The IIHS has given the Q5 a Top Safety Pick+ nod, but federal testers weren't as kind and gave the crossover a four-star overall score. The lack of a standard rearview camera means its overall score is somewhat inhibited. 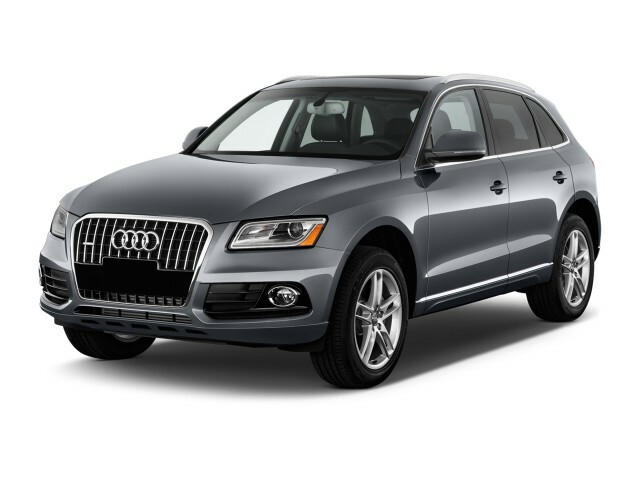 Now in its ninth model year, the simple Q5 still looks handsome. The 2017 Audi Q5 is the last model year for this generation, before a new version makes its debut next year. The Q5's approach is subtle and simple, and has aged well since 2008, when it was introduced. The Q5 hasn't been shy about its roots in Audi's sedan lineup—it's loosely based on the last-generation A4—and we consider that to be one of its better qualities. 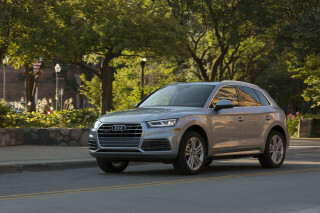 In 2014, the Q5 was updated slightly with a reshaped grille, LED taillights, and slimmer headlights, but for the most part Audi designers left alone the car-like curves and drama-free exterior. The Q5 has a customary Audi cockpit. It's nicely detailed, well-executed, and fitted with lovely materials. The driver and passenger areas are separated by a wide console, but it doesn't feel like it confines passengers at all. Among the finishes, there's a layered-oak look that converts the cabin into a storehouse for fine furniture. We approve. Clutter is an issue in the cabin. There are plenty of toggles and switches, but the sleek combination of wood and suede and leather gives it all a unified look. 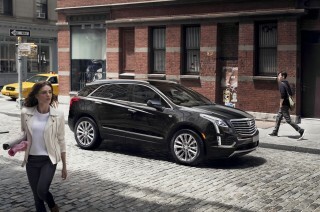 The hybrid is gone this year, which means performance ranges now from sensible to sensational. Audi dropped the Q5 Hybrid for 2017, leaving three powertrain options for this year-down from five just a year ago. 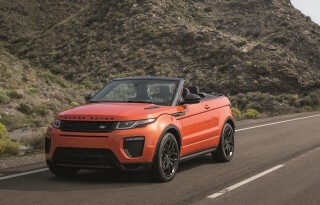 Thankfully, each powertrain is mated to a similarly competent all-wheel-drive system and 8-speed automatic that's standard across the entire range. 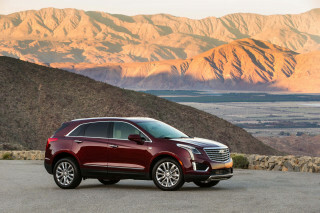 The base 2.0-liter inline-4 is a perky powertrain that makes the most of its 220 horsepower. While the Q5 tips the scales at about 4,100 pounds in base trim, the turbo-4 actually handles the mass fairly well. The turbo isn't laggy, and 0-60 mph runs come and go in about 7 seconds. We'd consider even base models of the Q5 to be worthy of a luxury badge. Audi's 3.0-liter supercharged V-6 sits above the smaller engine, and for the Q5 this year, is tops on the powertrain lineup. 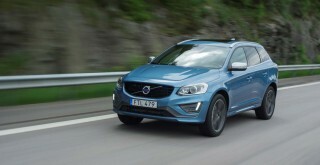 It turns out 272 hp and shaves a second from the compact crossover's sprint up to 60 mph. 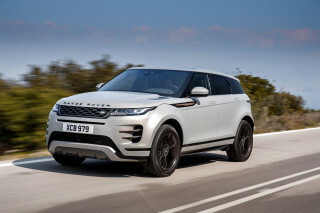 We imagine that most buyers will opt for this powertrain and won't be dissuaded by the lower gas mileage returns or the relative heft it adds to overall weight (about 250 pounds). It should be noted that while the 50 extra horsepower is certainly welcome, it's not exponentially more powerful than the base engine offering. At the very top this year-like the last few years, the SQ5's mighty supercharged V-6 creates 354 hp and can sprint up to 60 mph in 5.1 seconds. It's remarkably quick and doesn't pretend to be a performance car—it is absolutely one. If you're considering the SQ5, there are a couple of notes: First, even equipped with adaptive suspension the top-heavy SQ5 rolls around in hard cornering; and second, the premium for so much power is more than $7,000 above the 3.0T models. The diesel-powered Q5 was pulled in 2015 after the company admitted its engine polluted beyond legal limits. Audi has said it is working toward a fix, but the automaker hasn't announced when those models might return to the U.S.
No matter which Q5 you choose, the paddle-shifted 8-speed automatic has closely spaced gears and responsive shifting. Audi's quattro all-wheel-drive system plus 8 inches of ground clearance make the Q5 a good pick for deep snow and steep driveways. Driven back to back against some other luxury crossovers without German heritage, the Audi Q5's dynamics come off as taut and car-like. 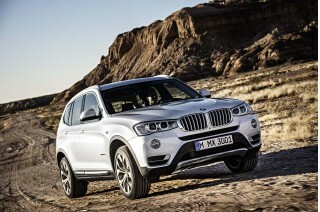 Especially in the lightest-weight turbocharged inline-4 model, the Q5 excels in passing maneuvers and out of corners. That's with an asterisk: we're less convinced by Audi's adaptive Drive Select controls here. They can tweak the steering, transmission, and throttle responses, in concert with the adaptive suspension on models so equipped, but Q5s without the system have firm but good ride control, and more natural response to road flaws. Steering in this case is still typically electric-assist numb, but at least it's predictable and tracks well, which we haven't always found to be the case with Drive Select. Should you choose Drive Select, you'll get four modes of operation—Auto, Sport, Individual, or Comfort. Each one has distinctive feel programmed into each of the vital driving input channels, but each one feels out of touch with the other. We'd rather save that money for the B&O audio. Audi also offers an adaptive suspension system on Premium Plus and Prestige models with the 3.0T engine. It is keyed in with the Drive Select system. The 2017 Audi Q5 makes the most of its available space, and boasts a highly refined interior. The 2017 Audi Q5 is one of the oldest crossover SUVs in its segment, but still manages to impress with its spacious, comfortable, and sometimes luxurious cabin. It's one of the few cars on the road with a standard panoramic sunroof and we think it's all the better for it. From the front, the driver and front passenger have a good view of the road with comfortable thrones as standard. Add heating or ventilation to the front seats and they firm up just a little, but not too much. The tilt/telescoping wheel helps a wide range of drivers find an excellent driving position. Inside, the Q5 delivers a bright, richly finished cockpit with a fine eye to details and to choices for interior trim. The build quality has been uniformly excellent in the most recent few examples we've driven, and although road noise is more present in 4-cylinder models, the Q5 carries itself with the refined feel that comes from a tight body structure. The back seat has enough leg room for most adults, thanks to a long wheelbase. The rear seat slides on a track and reclines for better touring comfort, or folds forward for more cargo space. With the seats folded, the Q5 moves from about 29 cubic feet to more than 57 cubic feet of storage space. There's enough cargo room for four roll-on suitcases and a clear view out the rear hatch glass. Small storage abounds, down to the 1-liter cup holders molded in all the doors, the console, and the fold-down armrest in the back seat. The Audi Q5 has mixed safety scores, including a Top Safety Pick+ nod from the IIHS. The 2017 Audi Q5 has received mixed crash scores from both major U.S. safety rating organizations. The 2017 Audi Q5 was rated a Top Safety Pick+ by the IIHS after scoring top "Good" marks in every crash test and its available advanced safety tech. Federal safety officials gave the 2017 Q5 a four-star score overall, with a five-star rating in side-impact protection and four stars in front crash and rollover safety. The Q5 is gifted with good outward vision. 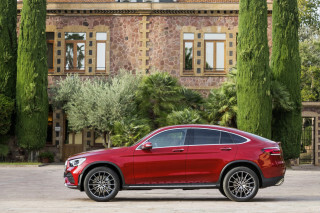 It has large side mirrors, and the rear seats don't obstruct too much of the view to the back, which translates into good outward visibility even without the high-tech solutions. All the usual standard airbags and stability control are included, to which the Q5 adds optional rear side airbags and standard all-wheel drive. Audi's forward-collision warning system, dubbed Pre Sense, is optional. Bluetooth is finally standard on all models, and blind-spot monitors are now an option on almost every version-if not standard. However, the Q5 still makes a rearview camera an option-and it's bundled in an expensive package only offered on the middle and upper trim levels. The 2017 Audi Q5 is handsomely equipped as standard, and it only goes up from there. Little has changed for the Audi Q5 from last year, and that's not a bad thing. The starting price, $41,850, is only $25 more than last year, too. Audi offers the Q5 in Premium, Premium Plus, and Prestige trims, although all powertrains aren't available in every trim level. In base trim, which Audi calls Premium, the 2017 Audi Q5 2.0T has all the features you'd expect to see in a luxury vehicle, including Bluetooth and iPod connectivity, keyless ignition, leather upholstery and walnut trim, power front seats, an AM/FM/XM/CD player with an SD card slot for additional memory, and 18-inch wheels. Last year, the Q5 added a three-spoke multi-function steering wheel and the panoramic sunroof to the standard-equipment list. With the Premium Plus package, the Q5 gets a power tailgate; heated front seats; a xenon headlight package with LED daytime running lights; and 19-inch wheels, which is new for 2017. Other options on the Q5 2.0T include a package with sport seats and a navigation system bundled with a rearview camera. Rear-seat airbags, different wood or aluminum trim, and an entertainment system are standalone options. 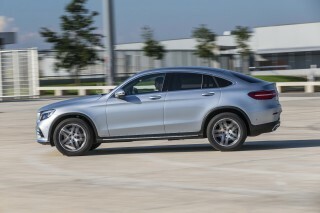 The Q5 3.0T tops off the standard equipment list with 19-inch wheels and the rest of the Premium Plus content. Moving up to the Prestige trim packs in standard adaptive lighting; adaptive cruise control; Drive Select; navigation; blind-spot monitors; a Bang & Olufsen audio system; and a heated/cooled cupholder. Adaptive cruise control and Drive Select were added for 2017, as well as paddle shifters for those models. Standalone options on the 3.0T include the Sport interior; an S line package with 20-inch wheels, sport interior, and aluminum trim; and a Comfort package with a leather instrument panel, ventilated front seats, and premium Milano leather. The SQ5 Prestige models come standard with Drive Select, and an available Black optic appearance package with blacked-out grille, door handles, diffuser and spoiler. We expect Audi to significantly update the Q5 next year and incorporate its newest Multi-Media Interface (MMI) system into that car, which has already debuted in the new Q7, A4 and TT. For now, we're left with Audi's older MMI systems that work very well-as long as you're not expecting a touchscreen. The Q5's available 7.0-inch MMI Navigation system upgrade renders Google Earth beautifully for dynamic maps that are better than the competitions' systems. The bad news? Those Google maps require a separate (and pricey) monthly data subscription, and no Apple CarPlay or Android Auto in the Q5-at least for now. Base models get a 6.5-inch MMI screen that we haven't tested. Despite being one of the older competitors in the segment, the Audi Q5 is fairly fuel efficient. Despite having roots that go back all the way to 2009, Audi's Q5 is a relatively efficient crossover. The base engine, a 2.0-liter inline-4, manages 20 mpg city, 27 highway, 22 combined, according to the EPA. Step up from the base engine and the mileage moderately drops. The 3.0-liter supercharged V-6 is rated at 18/26/21 mpg in the Q5, or 17/24/19 mpg in the SQ5. Both of those can run up to 60 mph in under 6 seconds, and launch a coworker's lunch shortly thereafter. For 2017, Audi discontinued the slow-selling Q5 Hybrid. It's widely expected that the company will introduce a range of electrified vehicles in 2018 and beyond, including a hybrid Q5 and possibly an all-electric version of the compact crossover. Last year, Audi pulled the plug on its diesel-powered Q5 after the company admitted its engine cheated emissions regulations. It's unclear when (or if) those models will go on sale again. Looking for a different year of the Audi Q5?